Congratulations! 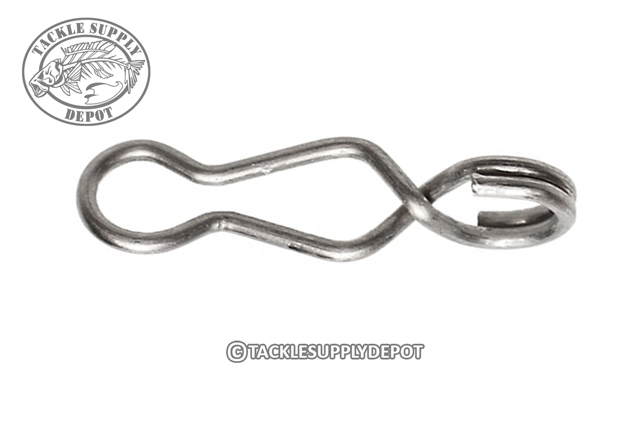 You have just found the easiest device for attaching a lure to your fishing line! After tying your line to your Speed Clip, you can squeeze down on the torsion arms and it will open the jaw. Then slip one on the jaw completely through the eyelet of the lure until the jaw closes. To ensure you attached it properly, the Speed Clip should move "freely" on the eye of the lure. This stainless steel marvel can be used in fresh or saltwater without hurting your equipment. Remove your existing split rings and enjoy the ease!